The book takes place in Australia, narration was done by someone with an accent. It was good for me, but someone who has trouble understanding accents in general might not be happy, and question my 5 star rating. This is the second in the Harriet Blue series, but you don't have to read the first to follow along. Without giving too much away, Harriet is a detective with authority and family issues who gets sent out of the city to stay out of trouble, but trouble finds her. The ending encourages one to see what happens next, but doesn't leave you with an irritating cliff hanger. I enjoyed the read, but probably will look at other series from Patterson to read next. Sometimes you identify with a character, sometimes you don't. Narrator was monotone and accent was difficult at times, other times she just put me to sleep. Could not even finish the book. Mystery, Thriller it was not and does not resemble any other Patterson book I've listened to, maybe the last. Disappointed in this book overall, hard to follow this character, just unhappy with this story. Not sure if it is the narration, the accent. I tried but could not get into this book and couldn't get to the ending. I thought this book was intriguing. Well written and narration was great as well. Very disappointed in the ending. I don’t necessarily believe in happy endings but this was ridiculous. I believe there is a future continuation of this story and I felt like a sucker listening to this story. 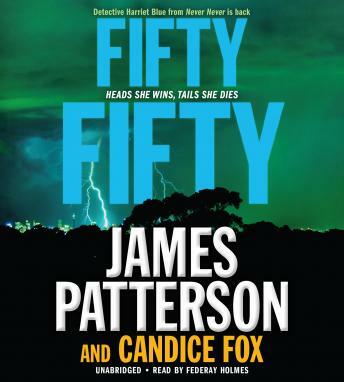 This will be the last James Patterson novel I ever read or listen to.